Patricia Vuguin, MD, MSc, is Associate Professor of Pediatrics and Director of the Pediatric Endocrine Fellowship Program at Columbia University Medical Center (CUMC). She is also Medical Director of the Pediatric Thyroid Center at CUMC and NewYork-Presbyterian/Morgan Stanley Children’s Hospital. Her expertise includes thyroid disease, metabolic syndrome, glucose metabolism, growth, puberty and disorders of puberty, and fetal programming of adult disease. Dr. Vuguin is an accomplished clinician, researcher, and educator. 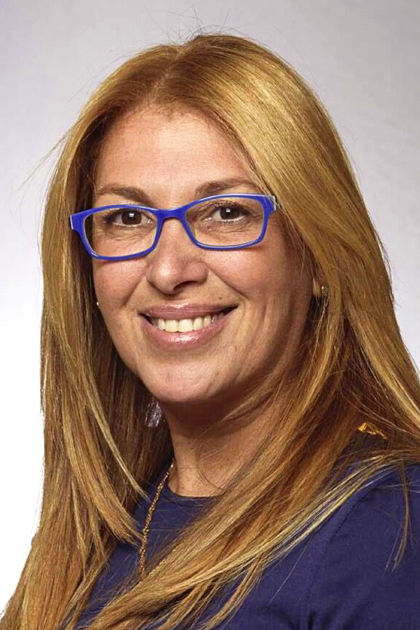 She is fluent in Spanish and English and empathetic to the medical needs of New York’s Hispanic community. In her leadership role for the Pediatric Thyroid Center, she collaborates with a multidisciplinary team of specialists to care for children and adolescents with thyroid disorders, such as thyroid nodules and papillary thyroid cancer. In addition, Dr. Vuguin was the recipient of K08 and R21 awards from the National Institutes of Health (NIH), independent grants from pharmaceutical companies, and funding from the Juvenile Diabetes Research Foundation. She has published more than 50 peer-reviewed articles in research journals; presented her research findings at national and international meetings; and is an active member of the Pediatric Endocrine Society and the Society of Pediatric Research. Dr. Vuguin also completed a Master of Science Training Program in Clinical Research, an NIH-funded program offered by the Department of Epidemiology and Biostatistics at Albert Einstein College of Medicine. Prior to Columbia, Dr. Vuguin provided clinical care at Jacobi Medical Center, Montefiore Medical Center, and North Shore-Long Island Jewish (LIJ) Health System (now Northwell Health). She is a member of the SuperDoctors ® list and received an Outstanding Teacher Award from North Shore-LIJ Health System. The American Medical Association’s Board of Trustees also selected her to serve on the Accreditation Council for Graduate Medical Education Review Committee for Pediatrics.